Daylight savings time has begun! Longer days! Warmer weather! Flowers are beginning to bloom! Spring is here! Today is the first official day of spring. 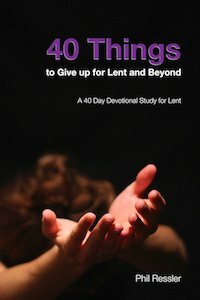 At the same time, we are in the church year season of Lent. Lent is a strange word. You may wonder what it means. Surprisingly, there is little theological significance behind this word. It comes from the Old English Word “lencten” which refers to a lengthening of days and the season of spring. So Lent simply means Spring. One of the annual rights of Spring is cleaning. We clean up the yards from the winter. We sweep out the garage. We perform a purging in our homes. We clean the grime off the windows. It is refreshing to eliminate the clutter and to restore the shine. The cleaning work itself may not feel good. That is hard work. But it feels good to be clean. It’s refreshing! As I think about Spring cleaning, I can’t help but be reminded of the gift of forgiveness. This season of Lent leads us to reflect upon the forgiveness that Jesus won on the cross. Our sins are made clean through his sacrifice. Jesus did the hard work to give us his light and hope so that we can shine his love brightly in the world. As you take inventory this “spring” about what needs cleaning, take a moment and consider the relationships where you may need to offer forgiveness. The work of forgiveness is hard. But it brings a refreshing air to our souls. Maybe that is the most important cleaning we can attend to this spring. Receive the forgiveness of Jesus and pass it on to others.